Recommendation: A tip-off from a friend is always ideal, but if you’re a brand new New Yorker and short on a social network, consult with coworkers. 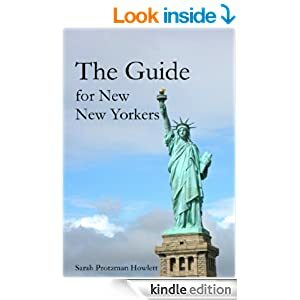 Chances are they’ve lived in the city longer than your friends, and even if they don’t live in NYC itself, they may very well go to a general practitioner near your office. If you’re brave enough, stop someone on the street who has a cute haircut. Referral: Check with your hair stylist, dentist or what have you and see if they have any colleagues in the city. It’s a big place — you never know! Also, some medical practices do require an official referral (mostly specialists) before you’re accepted as a new patient. Calendar: How easy will it be to see the doctor if you suddenly get sick? Some practices book up months in advance, and others, not so much. This is not necessarily an indication of the good doctors and the bad, although hey, it can’t hurt to Google them. Reviews are out there! If you need to get in sooner but can’t see your choice doc, book with another in the same practice and get on the cancellation list for your first choice. Costs: If you can’t see your doctor and have to go to the ER, check what your copay will be. It could be steep. Save money on hair appointments by getting some trims and coloring done at home. Wherever ‘home’ may be for you, chances are it’s a lot cheaper where they’re not paying sky-high rents.